Why am I even bothering with a website? Brad is having such a fascinating life with cool things happening every day, while I go to work, eat, then sit on the couch and wait for bedtime. 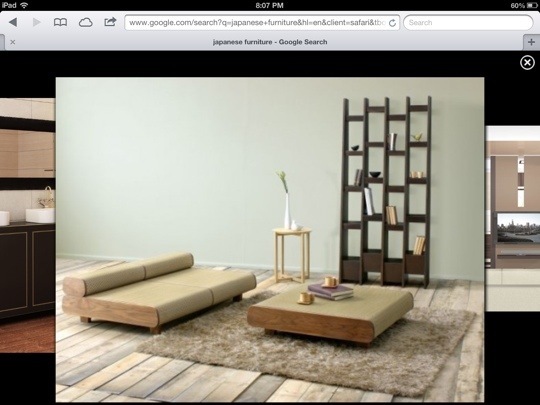 My daydreams are currently completely consumed with furnishing my own imaginary Hawaiian apartment, and Japanese furniture is my current craze. Check out those low lines! 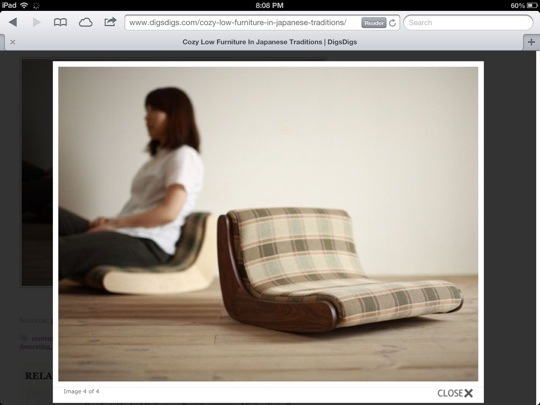 Perfect for someone who likes to sit on the floor all the time. As far as my post title, do you know the song? If you don’t, you will now. I’m pretty sure it’s just one line. Oh Lauren, you need to keep us all feeling ok about our lives & keep us from killing ourselves reading all about Brad’s marvelous new world….your schedule is the same exact as mine…except I sit in a reclining chair & watch TV. 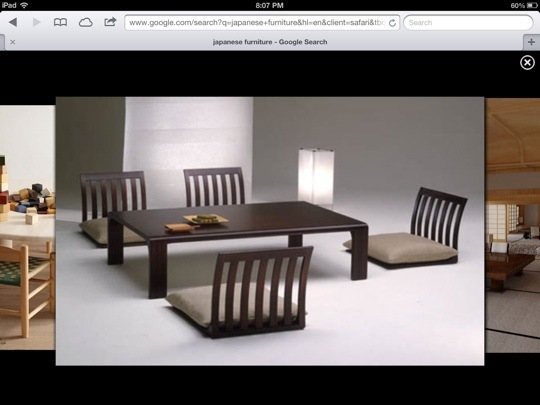 Sadly, I don’t think I would be very good at getting up from those Japanese chairs. Why do my knees hurt just looking at this? You should empty out your house and re-furnish it! Or just do one room. Having recently done my bathroom in Baltimore, and now (sort of) doing my apartment here, it’s kind of fun. We like you the way you are don’t turn Japanese on us!! !